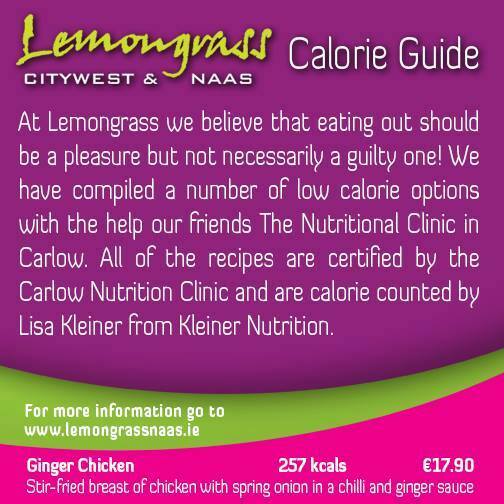 The Nutrition Clinic, Carlow Gateway Business Centre, Athy Road, Carlow. The Food Safety Authority (www.fsai.ie) recommends the introduction of a calorie menu labelling scheme for food service businesses. Initially the scheme should be operated on a voluntary basis to allow a period of time for the development of a system. The calorie on menu scheme is intended to empower consumers to make more informed choices when purchasing foods from food service outlets such as restaurants, bars and cafes. The Nutrition Clinic offers a comprehensive service using the latest nutritional analysis software which allows for an accurate calorific and nutritional analysis of your recipes and menus. Nutritional advice and solutions will be offered for those dishes with high calorific values helping you achieve a more balanced and healthy menu. We can help you make your menu even more client-friendly. It can be challenging for clients to make an informed choice about gluten free, lactose free, cholesterol and calories; Our ‘Healthy Eating Stamp of Approval’ will enable clients to make an informed choice when dining out. We have recently worked with the Lemongrass chain of restaurants. I would recommend them very highly to anyone looking for menu information and analysis. We have four busy Asian Restaurants and are very keen to ensure that our menu appeals to as wide a section of the public as possible. Over the last five years it has been a constant battle to keep our customer base and in reality it came down to the value as much as the quality of our menu that has kept us busy. In an effort to keep up with customer’s demands and a public that is becoming more and more health conscious we asked Aisling and Margot from the Nutrition Clinic in Carlow to look at our menu for health and nutrition reasons. We found them very professional and affordable to work with. They gave us a very comprehensive understandable report in which they not only broke down our food into nutritional analysis, health benefits and allergy warnings but also suggested alternatives to improve any areas that our menu fell short on. They also provided a “did you know “section that we find invaluable for advertising on social media. 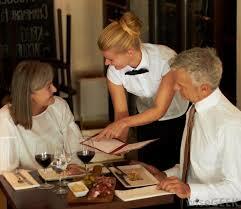 We can now boast about our menus health benefits and low calories backed up by their expert knowledge.